- OPERATION DETAILS: 3460 grafts FUE extracted by manual punch, diameter 0.6 - 0.8 mm. 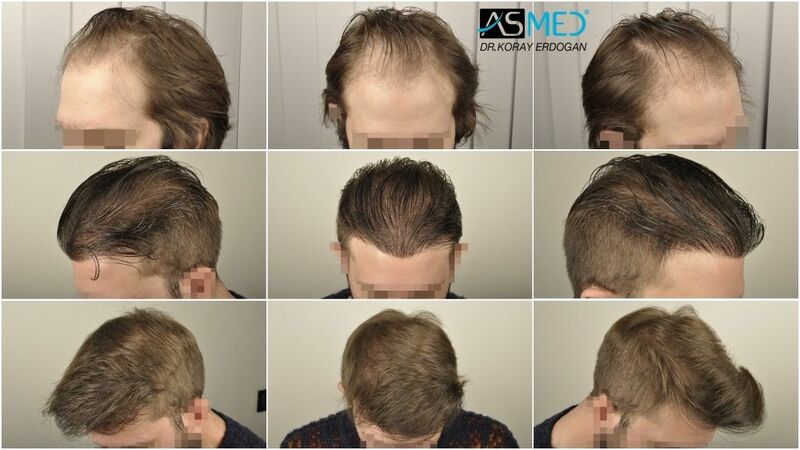 - FINASTERIDE: The patient started the treatment 4 months before undergoing the surgery, then he stopped 6 months after the operation. He is planning to start again the treatment from now on (20th post-operative month).